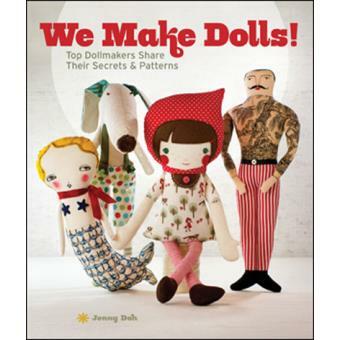 Making super-cute stitched dolls is a beloved tradition, and today it's more popular than ever! Here are some of the freshest new designs from 10 of the world's leading dollmakers. Along with the book's 23 projects--which feature full-size templates and include trendy plush creatures as well as sweet-faced human and animal forms--are profiles of the artists, including colorful pictures of their studios and explanations of their signature techniques. The international roster represents nations from the US and Mexico to Germany, Portugal, and Russia. OPINIÕES DOS NOSSOS CLIENTES We Make Dolls!